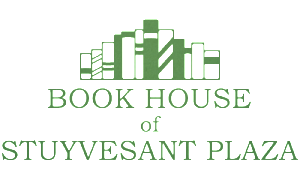 As part of our ongoing collaboration with the Book House of Stuyvesant Plaza, our writers have accepted the challenge of reading and reviewing pre-publication review copies of highly anticipated young adult literature. 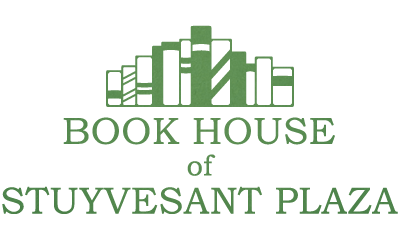 The reviews are posted here for our readers, but also will be sent to the Book House where they will hopefully be used to inform customers about the books they may want to purchase. 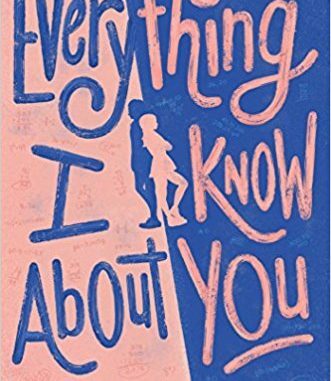 The book Everything I Know About You by Barbara Dee is young adult fiction that takes place in Washington D.C. on a middle school field trip. The main character is Talia (a.k.a. Tally) Martin, a 12-year old middle school student who is faced for the first time in her life with a situation that does not have an easy solution. The main themes that Dee portrays in the book are how to love yourself and embrace your flaws, how being good a friend can also mean hurting someone you care about and how people who you think are your enemies can actually end up being your friends. At the beginning of the book, we learn Tally has two best friends named Sonnet and Caleb (a.k.a. Spider) and an arch-rival named Ava. Tally is an unconventional math nerd who is very tall and dresses in weird outfits. She has very few friends outside her two best friends and she is upset because she feels uncomfortable with herself around Ava. In contrast, Ava is a very popular girl who has many friends and Tally is jealous of her. In fact, she calls her and her friends the “clone girls.” Sonnet and Haley, Ava’s friend, are both interested in music but Sonnet dislikes Haley because Haley got the lead role in the play. Spider is a quiet nerd who has previously been bullied and tormented by Marco and his friends. Tally sticks up for Spider when Marco is bullying him. Their teachers, Ms. Jordan and Mr. Gianelli, assigns Tally, Sonnet and Spider to be roommates on the trip to Washington, D.C. with their arch-rivals. Even though Tally is going on a class field trip, she makes it out to be a nightmare because of the tension she has with Ava. “But she was the head clonegirl of our grade, basically my enemy, so I was always on the lookout for her nasty expressions.” (Dee 2) Tally’s main goal on the trip is to do activities alone with her best friends. She creates a pact to make sure they will not lose each other. Tally tries many things to keep this pact but unfortunately her friends start to pull away and become friends with their arch-rivals. Because Tally cannot see beyond her hatred toward Ava at first, Tally does not realize that her friends are starting to drift farther and farther away from her because they are giving their arch-rivals a chance to redeem themselves and make things right. As a result, Tally becomes mad at her friends, blames them for breaking their pact and she then loses her friends. When she loses her friends, Tally is forced to spend more time with Ava. At first, Tally does not want to spend time with Ava but after rooming with her for a while she notices something about her that brings them closer together. Before, Tally did not like how Ava was seen as perfect and liked by everyone but once she saw that Ava might have a flaw she jumped to the opportunity to figure it out. She notices that she has a notebook with a bunch of random of numbers in it and whenever everyone is supposed to eat Ava does not which seems very odd to Tally. “She was moving things around her plate with her chopsticks, looking busy and organized, typing into her phone with her free hand. But if you looked closely, which I did, you could see that her food was all on her plate, uneaten.” (173) When Tally realizes Ava is really thin, exercises all the time, never eats and may have a serious problem she feels bad for Ava and realizes that her life is not as perfect as Ava always made it seem. Tally confronts Ava and tells her that she knows she has an eating disorder. Because they did not like each other, Ava thought Tally was being mean when she confronted her and she forces Tally to keep her secret or Ava will share an embarrassing photo of her. Now, for the first time in her life, Tally is forced with a tough issue. But why does Tally even care? Tally starts to warm up to Ava throughout the book and realizes that Ava needs someone that can get through this so Tally starts to become friends with her and develops as a character. “Plus, just now she’d opened up to me, telling me things even her friends didn’t know-so how could I turn around and blab about the fainting?” (248) Tally’s focus on Ava’s one flaw almost causes Tally to lose her friends and even lose Ava. In the end, Tally tells the guidance counselor about Ava’s eating disorder when they return to school and Ava passes out in the cafeteria. This is an important point in the book because it allows Ava to receive help. Dee shows her audience that Tally has done the right thing because, although she promised Ava to keep her secret, she did the better thing by telling adults who could help Ava. Even though it seems like she betrayed her at first, Tally’s actions were out of concern and friendship, not hate and deception. Seeing Ava’s problem first hand, Tally also realizes that no matter who is around you should always stay true to who you are and do not compare yourself to other people. Getting close to Ava teaches Tally that, no matter how different someone is from you and how they may have treated you in the past, you should always be kind and give them a chance because you never know what obstacles they are facing either health-wise or in their personal lives. Through Tally’s actions, she becomes friends with Ava. “Somehow, I knew, I had to communicate without blabbing. Not because I was afraid Ava would send the photo, but because I didn’t want to betray her. That was it, crazy as it sounded.” (255) Tally also got her best friends back. I believe that this book is very influential for young kids going through their middle school years. Dee does a great job in portraying Tally as a strong figure to show young people that you should always have confidence in yourself and that, no matter who you are around, you should always treat them with respect because you never know what they are going through. In addition, she does a great job in explaining that, if you have an issue, you can tell someone such as a family member, a friend, or a guidance counselor because they can help you get through it. Even if you are not the smartest or the most beautiful, there is always something unique about you that makes you different from everyone else. You should embrace those qualities. I would suggest this book to students going through middle school. Joe Saia is a junior at Clayton A. Bouton High School.